Here's another thing about Nana, my host for a whirlwind tour of the tropical islands of Langkawi. She likes to keep moving. Now, I'm not afraid of a busy day. But my mind-blowing experiences of the weekend had overloaded my emotions, drained my adrenaline, and left me feeling a bit wrung out. I thought that once we arrived back at the mainland of Malaysia, we might slow down a bit. Honestly, I was looking forward to a lull in the action. The fourth musketeer of our Langkawi team, dear Arwan, met us at the ferry terminal, and quickly whisked us off to a new destination: Kota Kuala Kedah. This fort, like the one I explored in Melaka, was built by the Portuguese. 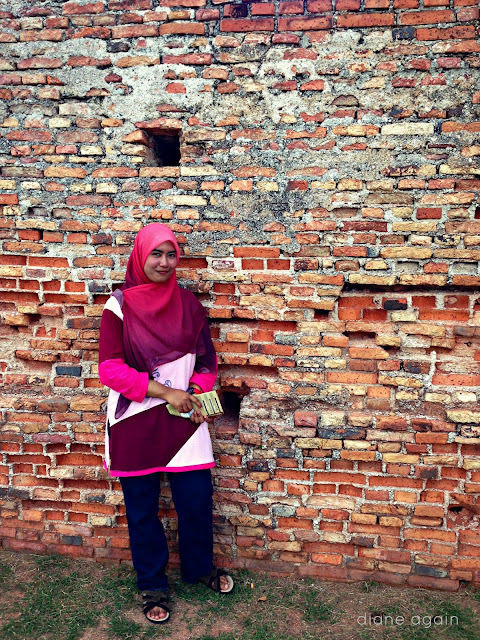 Similarly sited along the Strait of Melaka, it was designed to ward off invaders from the sea. 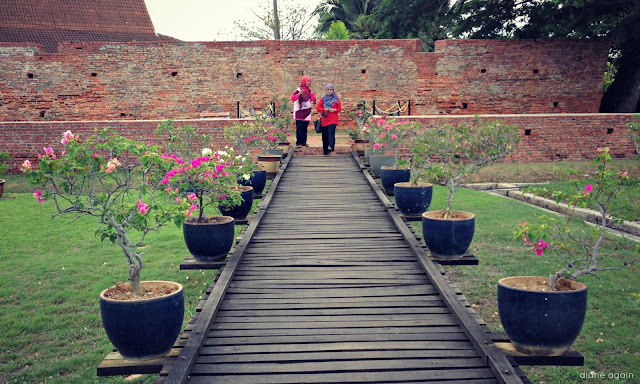 And also like the fort in Melaka, Kota Kuala Kedah was handed down to a series of successive invaders who expanded, reinforced and improved the fort to their own purposes. To be honest, I didn't take enough photos to do this lovely old place justice. But the few I took aptly convey the charm and beauty of Kota Kuala Kedah. Izzah and Nana strolling up the boardwalk. Within the wall of the old fort is this beautiful white building that houses a museum. 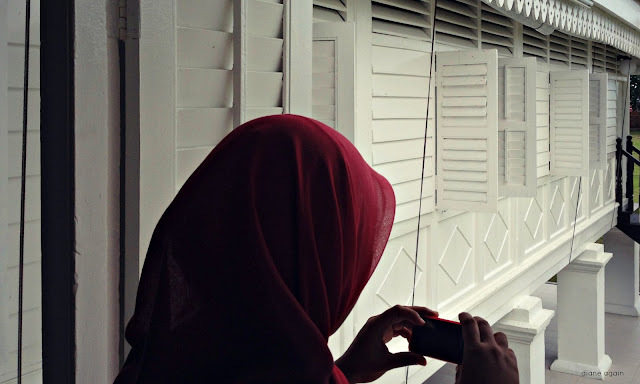 Izzah and I fell in love with the white wooden lines and angles. We were also fascinated with the old brick fortress walls. Layers of brick were built one on top of the other, reflecting centuries of construction and repair. The textures were amazing. 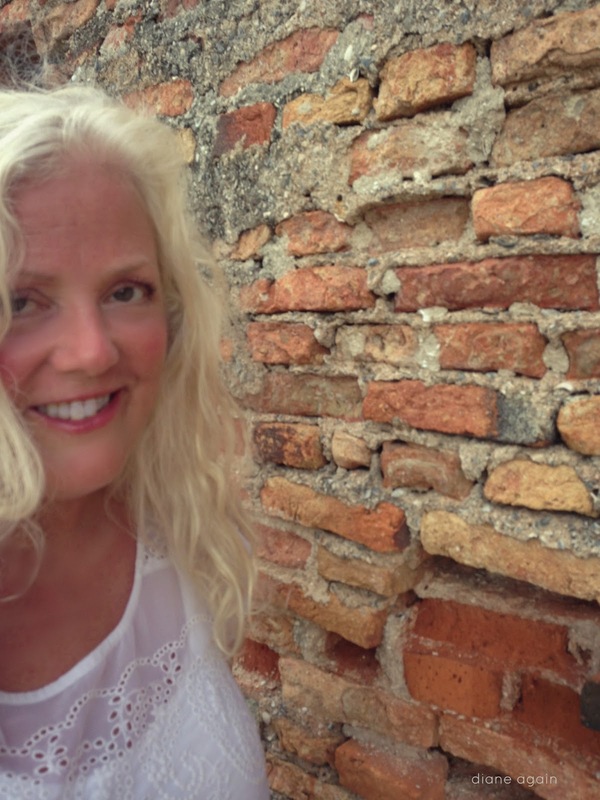 Oops, I got a little sunburned on that ferry ride, didn't I. 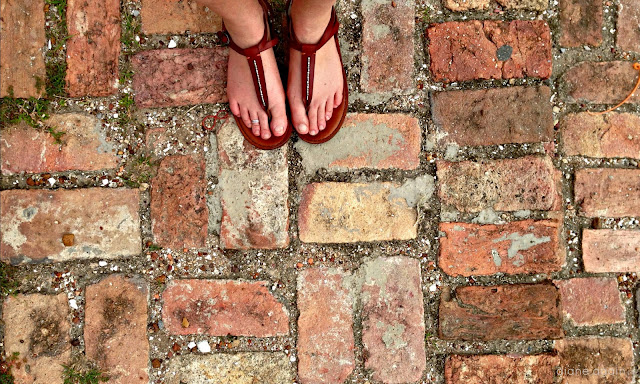 Old bricks on the ground...a foot photographer's dream. As our wandering tour around the site wound down, Nana whooshed us back to the car and off again. There were soothing promises about a homemade supper of mee curry waiting for us on her mother's nearby table. I yearned for a quiet mealtime, and prayed that Arman was heading the car in the direction of home.